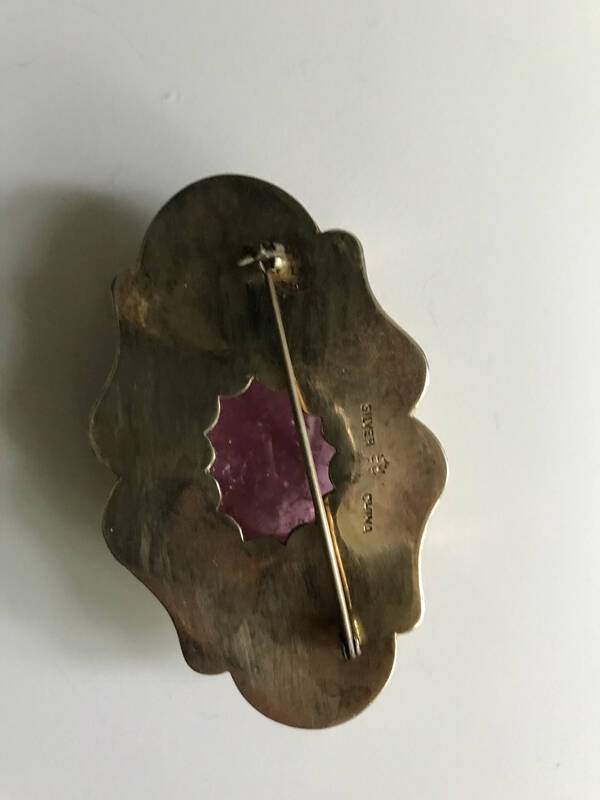 Offered for sale here is a silver Chinese brooch with a ~25 ct pink tourmaline cabochon. 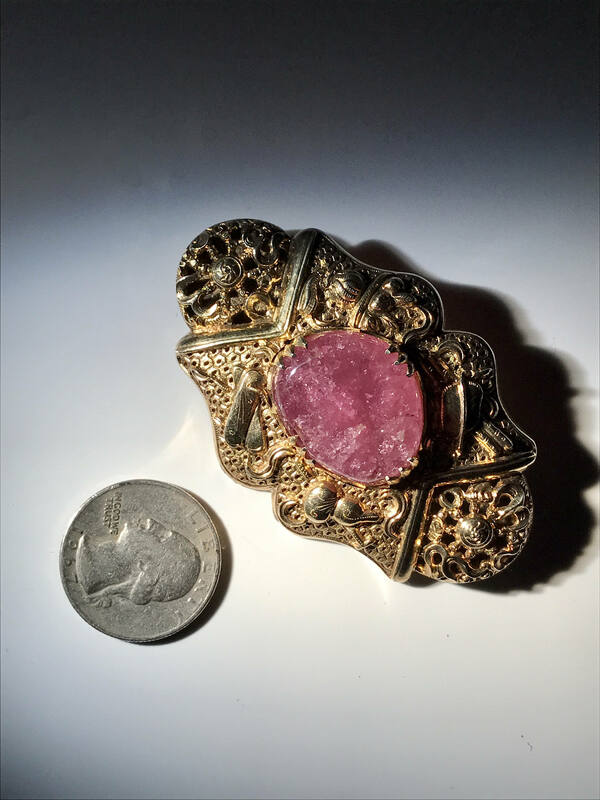 The cabochon was reused from something else because it has a small hole drilled through the back of it from before it was fashioned into a finger guard. Some time later, it would have been converted into a brooch. Condition is good. Silver is of a light gauge. 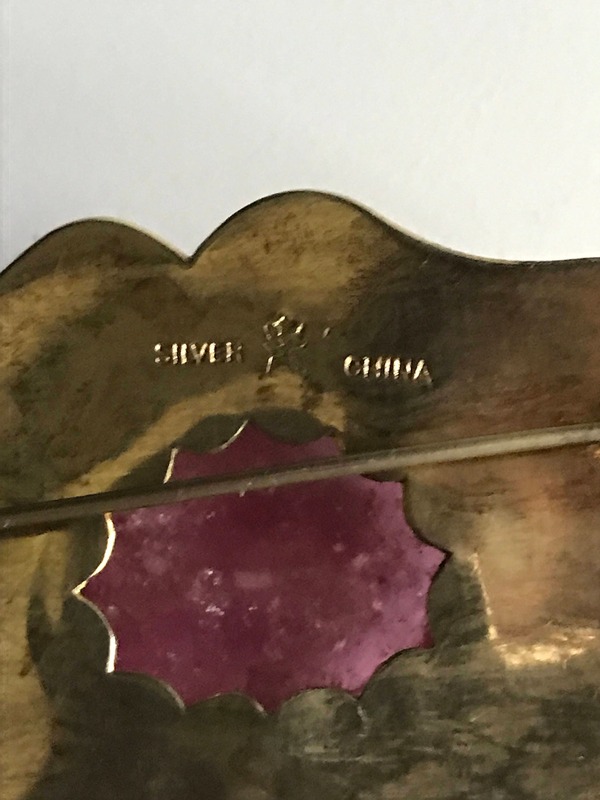 According to the GIA, "the pink tourmalines were exported to China starting after 1892 to China because the Chinese Dowager Empress Tz'u Hsi was especially fond of the color." 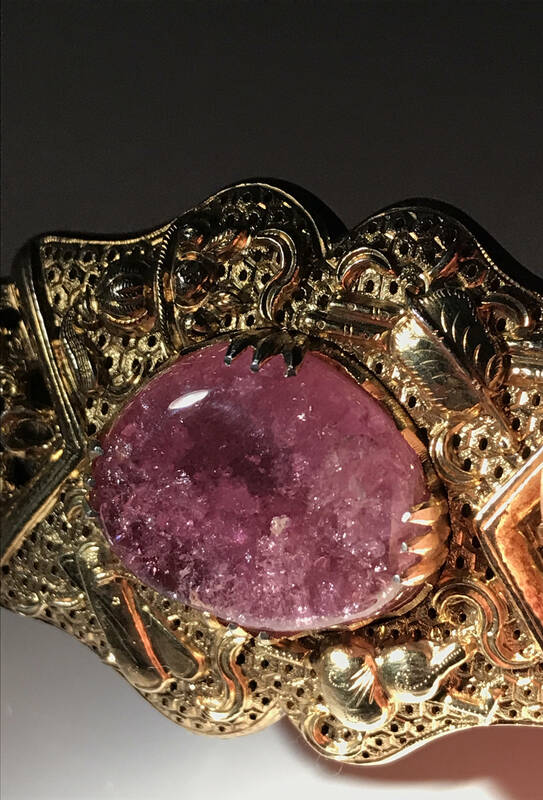 At that time, the San Diego County tourmaline was used for carving purposes and to fashion buttons or toggles for jackets worn by the royal court and wealthy individuals. 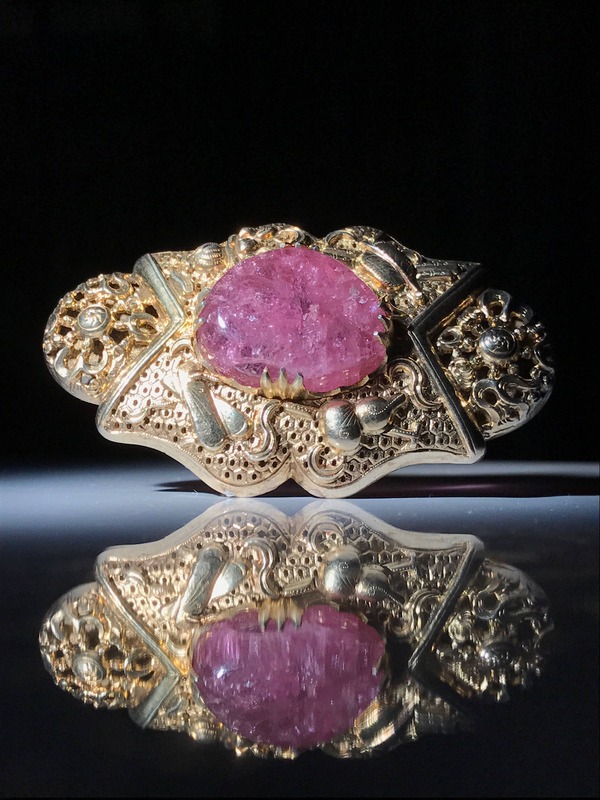 Her death in 1908 gives a strong indicator of when the tourmalines would have entered China, especially since, "The miners became so dependent on Chinese trade that when the Chinese government collapsed in 1912, the US tourmaline trade also collapsed."